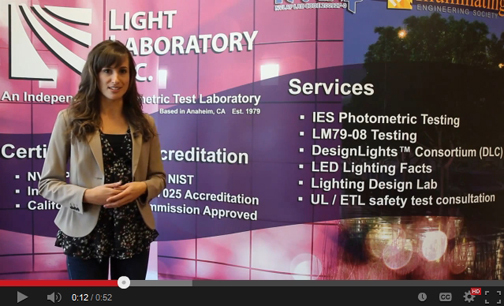 Click to view Light Laboratory Inc. Services Video. Light Laboratory Inc. offers a wide variety of services to fulfill your photometric, color and electrical testing needs. Using our custom, rotating mirror, Type-C goniophotometer, in combination with various integrating spheres, we are able to test many different types of lighting fixtures and light sources. Our services meet IES and other applicable industry standards and approved methods for electrical and photometric measurements for all light sources including solid-state lighting products.